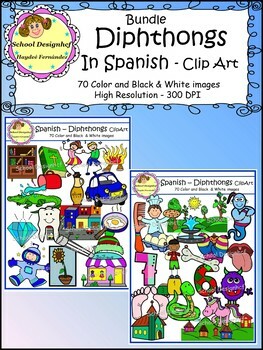 This Bundle includes 70 images of Diphthongs in Spanish. Contains 35 color images and the same 35 in B&W (as seen in the preview). The images are in Zip File, PNG format (transparent background) at 300 DPI for highest quality printing. These were all hand drawn by me. Let me know any comments on the Feedback section.